All golfers want to improve, but most don’t know how to improve efficiently. From swing mechanics, to golf course management, physical fitness, and mental performance, there’s a lot of areas to focus on, and it can be tough to prioritize. 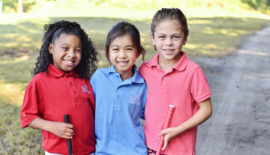 From a simple swing tune-up, to creating a long-term plan that includes building a team of professionals around the student to help reach goals, true game improvement starts with strategy. 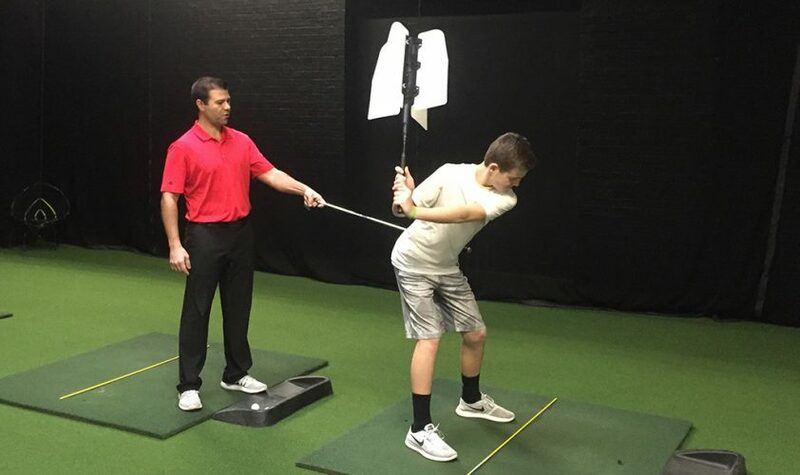 Finding a professional to help you establish a baseline of swing mechanics, analyze your physical strengths and weaknesses, and understand your preferred learning method. Then you can focus on tailoring a practice/training programs fit for you and your game, based on your individual strengths and weaknesses. 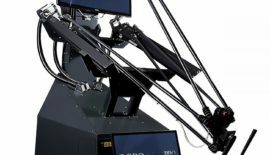 Many of the top swing shops offer some truly stunning, state-of-the-art technology today, helping analyze everything from swing speed, angle and arc, weight shift and even pressure measurements, among others. Mandakas and his team of professionals focus much of their attention on swing speed, which is the key performance indicator of golf fitness, he said. 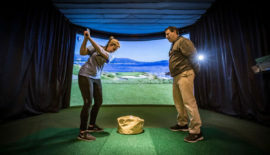 For that reason, Elevation Sports Performance uses a “TPI” system to measure club fit and golf fitness, a dynamic duo Mandakas said can help anyone improve. For more information, visit www.elevationsportsperformance.com. Golfers should consider getting new clubs if theirs need an update in technology or if their clubs were not fitted to their golf swing. We base this decision on the golfer’s budget along with changes in golf swing / fitting characteristics. In the process of making a swing change, the golfer’s lie angles will most likely change that will affect the spin that is created by a change in lie angle. Mike Mandakas is a PGA Professional and TPI Fitness Trainer that works will golfers of all levels from beginner to professional.“My teaching philosophy is to develop a personalized golf swing for each student that they own based on their strengths and limitations. My objective in golf instruction and coaching is to educate my students how to improve all aspects of their game and to make a proper body/swing connection. With the use of the best technology and swing video analysis available, we capture what the body is doing, along with ball and club data to measure improvements. Club-fitting is also a very important aspect of golf training to make sure our players have the correct equipment for them. Gaston Cordova is a Sports Psychologist that works with many athletes and business executives, with his primary focus is golfers.At Elevation, we have a unique approach to training the mind. We combine sports psychology with brain science. We not only teach our students “how to”develop the mental skills of “staying calm-under pressure, maintaining focus and concentration, and boosting confidence and self-belief,” but we take it one level further. We show them the evidence of “how well” the training is working. 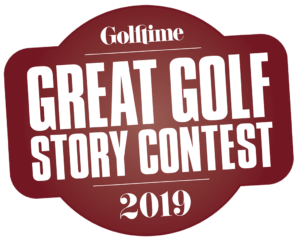 Technologies in this field have advanced so rapidly that we can now help a golfer TRUST the training … this is what ultimately gives an athlete the confidence they need to TRIUMPH in the mental game. 1. We use the best state of the art technology for swing analysis, ball & club measuring, along with weight shift and pressure measurements to determine strengths and weaknesses in the golf game. Our golf swing technology includes: Trackman, Foresight, V1 Swing Analysis, BodiTrak, Swinguru, KVest, and Blast Motion. 2. We collect the all Ball & Club information from our simulators: Club Speed, Ball Speed, Ball Spin Direction, Club Path, Launch Angle, etc. From our Motion Technology we measure what the body does during the swing: weight distribution, pressure distribution, rotation, and timing. This information helps us create a baseline starting point so that we can measure improvements through practice and training. 3. Club head speed is an important element of the golf swing because it is a measurement of how much power is transferred from the body to the club during the downswing part of the swing. We work to increase club head speed with all of our players to make sure they maximize power that will correlate to longer distances hitting the ball. 4. Most golfers are not playing with proper golf equipment. We can usually tell if clubs are improper length, lie angle, or wrong shaft just by watching set up and the ball flight of our customers but we use technology to measure for the proper fitting. Being properly fitted will give the golfer a better chance of making better contact and will give the player a more accurate result from their swing. 5. Golfers should consider getting new clubs if theirs need an update in technology or if their clubs were not fitted to their golf swing. We base this decision on the golfer’s budget along with changes in golf swing / fitting characteristics. In the process of making a swing change, the golfer’s lie angles will most likely change that will affect the spin that is created by a change in lie angle. 6. The TPI Certification Program is designed for Teaching Professionals and Trainers to evaluate, educate and train golfers how to increase player performance through a deep understanding of how the body functions during the swing. A TPI Fitness Instructor is a professional that evaluates a golfers body to swing relationship to find strengths and weaknesses that can affect a golfers ability to swing the golf club. 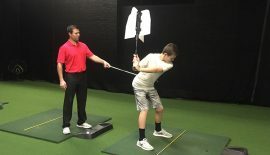 The trainer will take the screening results to find areas in which flexibility, balance, and power can improve to help the golfer make a more efficient golf swing. The screening is one of the most important parts of meeting a new customer to get an understanding of limitations that might be restricting a players ability to swing the club. Once the limitations are established, the trainer will create exercise programs for the golfer to improve the functionality of the body that will help with the golf swing along with injury prevention. 7. All golfers can benefit from a TPI Screening and Training because the body is always changing along with golfer’s swings. Seeing a TPI Fitness Instructor will help all levels of golfers that are looking for improvements or injury prevention.